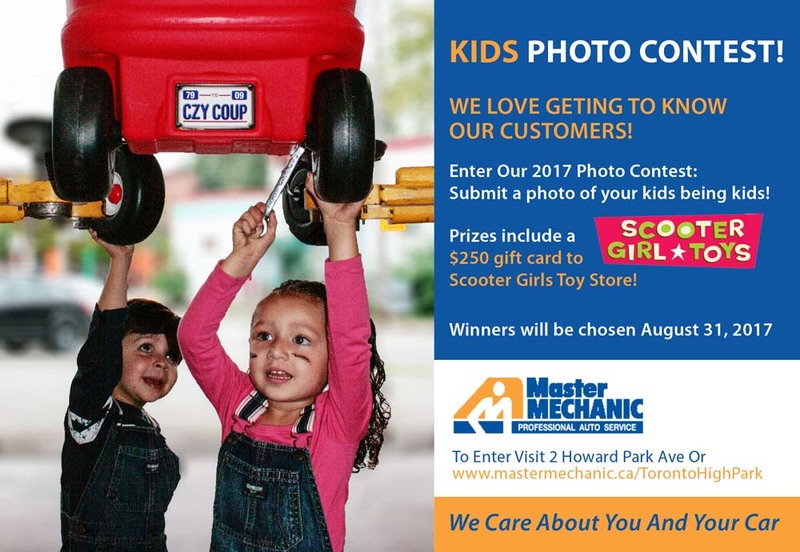 After a lengthy deliberation, the team at Master Mechanic High Park has it’s winner of the 2017 Kids Photo Contest. Congratulations to Elliot McMillan for winning our grand prize a $250 Gift Card to Scooter Girls Toy Store. The photo was submitted by his father Jamie McMillan. The photo was taken last summer at the minden fair, Elliot was 6 years old at the time of the picture! 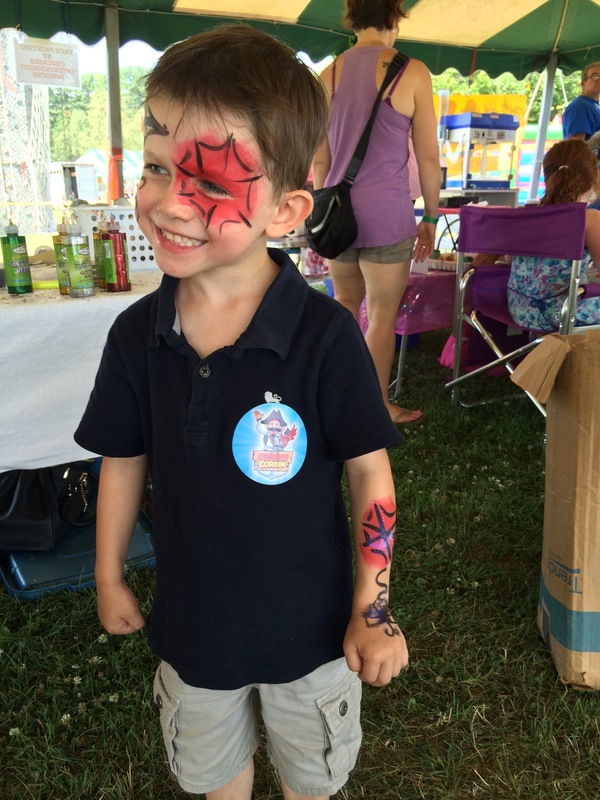 He was with him mom (Krista Bradley) and dad, and had his face painted as Spider-Man. The family goes to the minden fair every year because it is close to their cottage. It is officially known as the Haliburton County Fair, and is a small fair that has live stock, face painting and bouncy castles for kids! 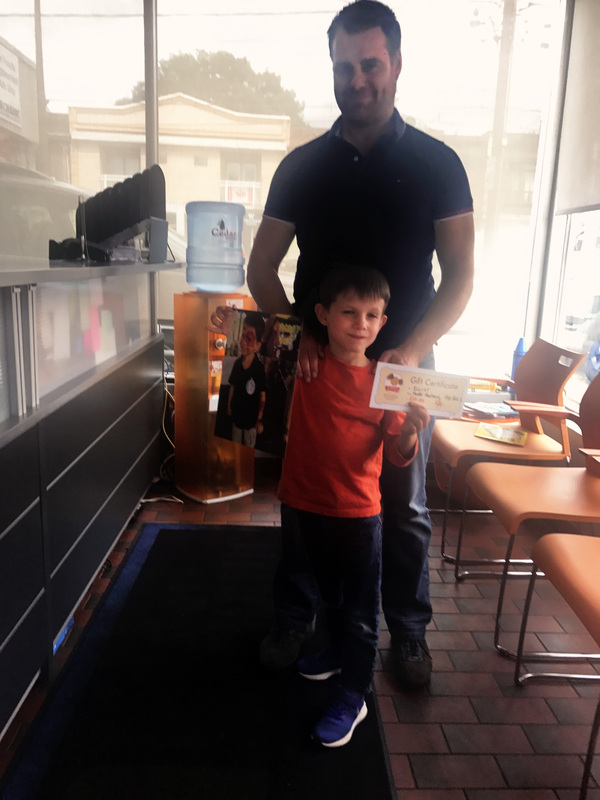 This week, (now 7 year old) Elliot McMillan and his dad came into the shop to claim his prize and have his picture taken as Master Mechanic’s Official Contest Winner! The family lives in the Junction and enjoys spending time together. Elliot is a very sweet young man who is sure to tell his mommy and daddy how much he loves them everyday.